The Starting Point reminds us - We are disciples of Jesus because God has made it possible. It’s all grace. And it is always grace. In other words we start in grace at conversion, but we don’t leave it there. Every single day, every step of the journey is a gift. So, our engagement with God and participation in His mission in His world is not an attempt to earn His favor, but is a grateful answering response to His grace at work in our lives. We are recipients before we are participants. And we continue to RECEIVE God’s grace as we follow Jesus together. Forgiveness from sin, wisdom and power for a transformed life; these are gifts of grace that God delights to give us throughout our lives. The Stronger Triangle reminds us – We are made to know the One who made us. God made us for Himself and He is most glorified by us when we are most joyfully content in Him. Christianity is not a religion where rule-following and ritual-keeping is central, it is a personal relationship that can be cultivated, transforming us from the inside out. 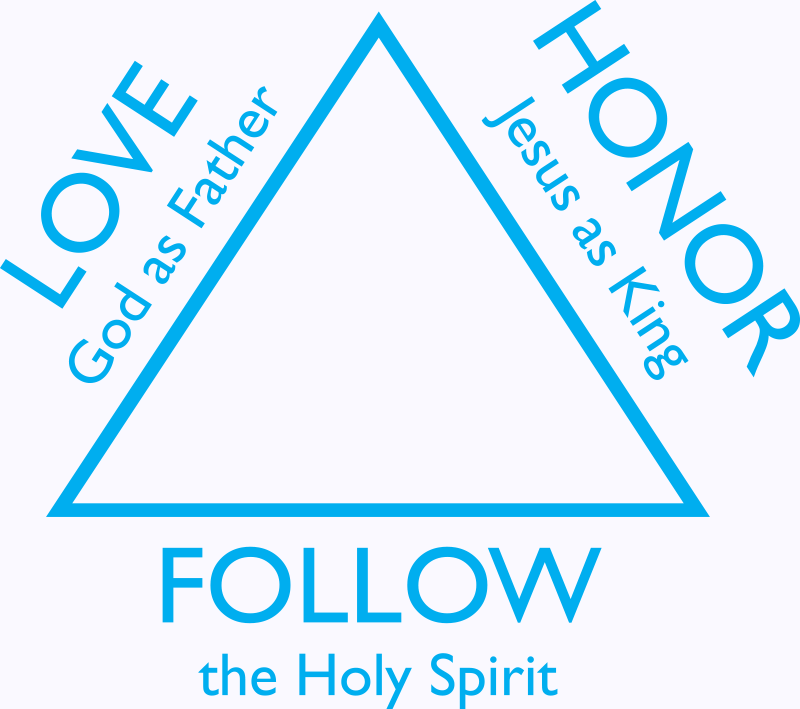 The three sides to this shape remind us that while we relate to One God, this God has revealed Himself in history and on the pages of the Bible as three persons—Father, Son, and Holy Spirit. Our relationship with God grows as we learn to LOVE God as Father, HONOR Jesus as King, and FOLLOW the Holy Spirit into life. 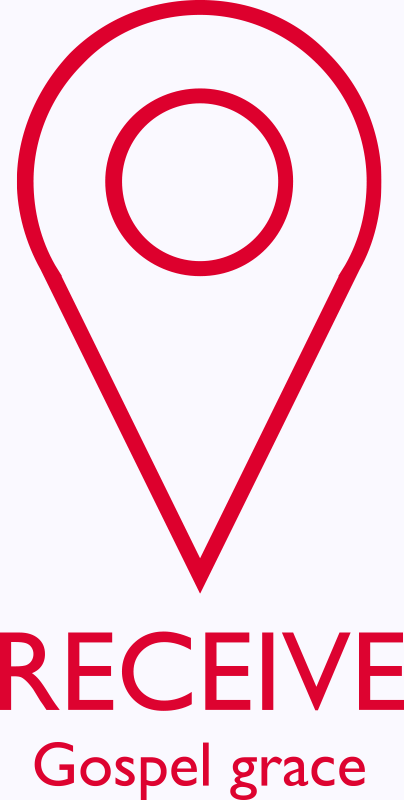 The Closer Circle reminds us – We are made to belong in Christian community. A disciple’s life with God is personal, but it’s not intended to be kept private. God gives disciples of Jesus a special bond as siblings. We share the same redemption through Jesus’ Cross, we share the same Spirit within us and among us, and we share a common mission in God’s world. The Circle is divided into three parts to remind us that there are three ways we relate to one another in a local church. There are very intimate relationships that we can only have with a few—LINK—where deep knowing, vulnerability, and sacrifice find expression. There are intentional relationships that form for a season—DISCIPLE—aimed at spiritual growth and multiplication. 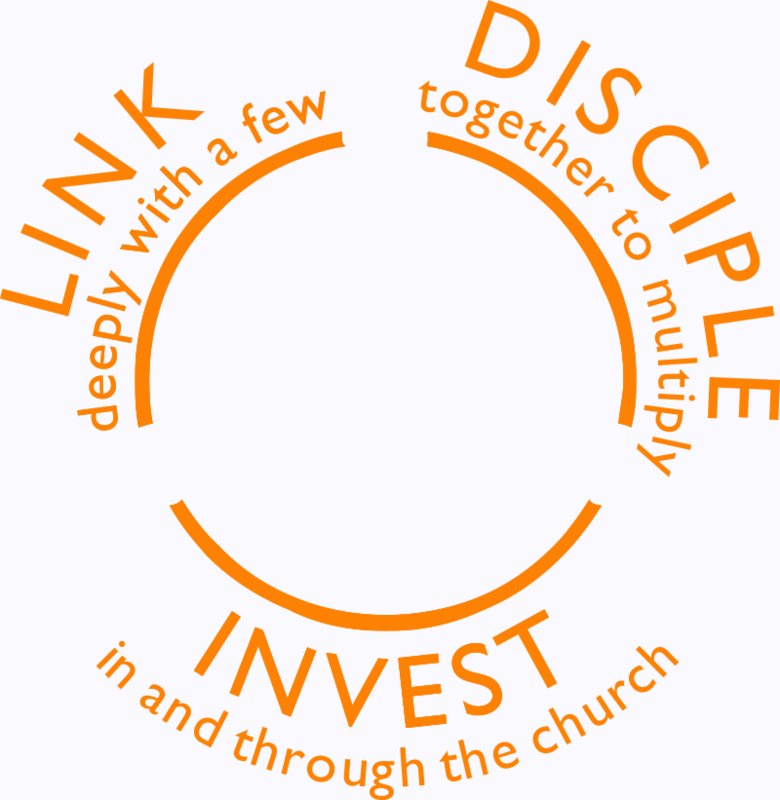 And then there’s our macro, corporate connection where we gladly INVEST our individual resources—time, talent, treasure—for the blessing of the whole, serving the extended church family. 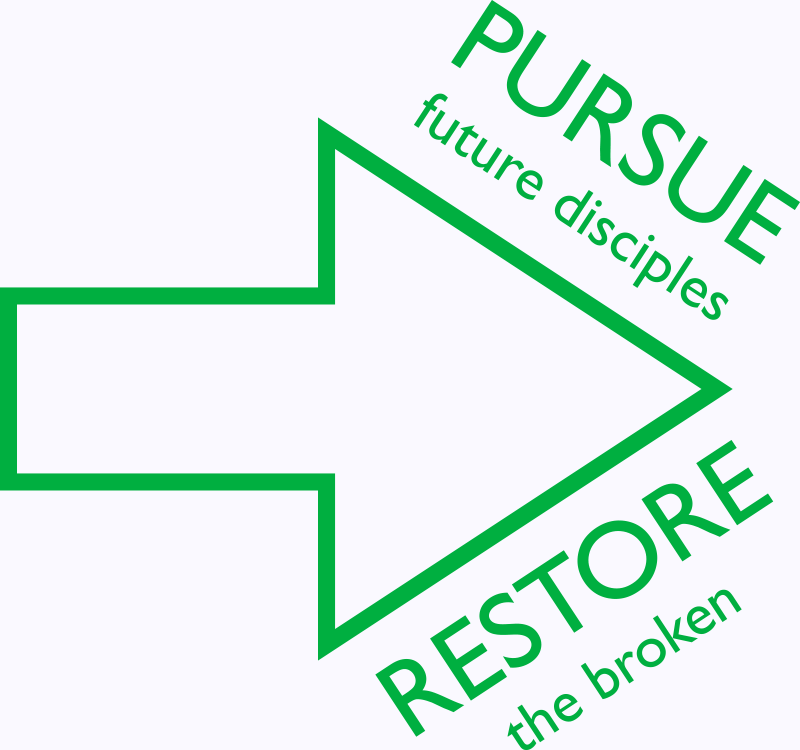 The Further Arrow reminds us – We are made to live on mission! At the start of His ministry, Jesus calls fishermen to follow Him, and in the end—just three years later—He sends them out into the world to make more disciples…Jesus through them. And they would do it as He did it: pursuing men, women, and children around them with Gospel grace, and restoring brokenness as they came across it. They were not peddlers of a product; they were ambassadors of a person…a King, a Redeemer. And so are we. Our mission is to offer those around us, through our words and our lives, an experience of Jesus—PURSUE, taking a genuine, compassionate interest in helping them flourish—RESTORE. God has placed people who are outside the faith inside your reach. Are you embracing the privilege of being a part of what God is doing in His world? You can.